jiffysales has no other items for sale. 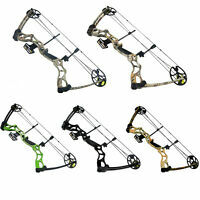 Fred Bear Archery Approach Bow-Realtree Edge Camo - RH 55-70# 23.5-30.5"
Archery Type: Bow Hunting Overall Length (in. ): 33in. Sales tax may apply when shipping to: IA*, MN*, UT (6.55%), WA*.